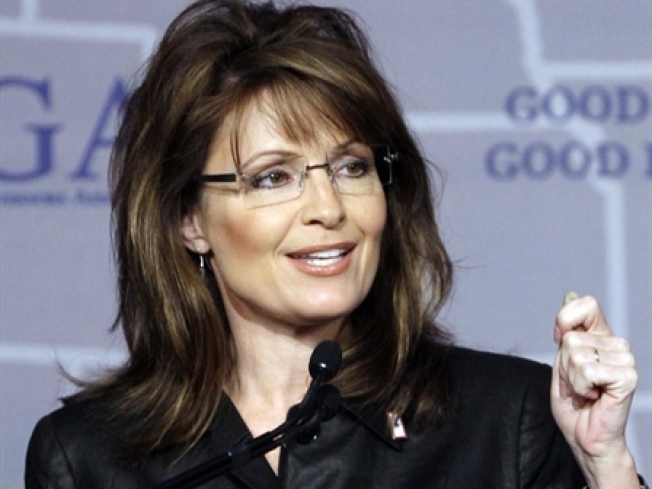 Americans on the Internet just can't get enough of Sarah Palin's quirky charm. Palin has been the subject of intense online fascination since her introduction as the Republican nominee on August 29. In September, the Anchorage Daily News reported a 928 percent spike in traffic, according to Nielsen Online. Her mid-October Saturday Night Live appearance drove the show’s highest rating in 14 years, and her Oct. 2 debate with Joe Biden was the most watched vice-presidential debate ever — drawing more viewers than any of the three presidential debates between McCain and Obama. The scope of the GOP ticket’s loss — and the role her critics assigned to her in that defeat — hasn't cooled interest in Palin. She ranked as the number two top news search at Ask.com this week, number two (after Obama) among newsmakers on the AOL 2008 year-end hottest searches list, and she occupied two slots on Politico’s list of the site's 10 most searched terms. Palin also ranked fourth among Yahoo searches, behind “Black Friday,” a famous Czech model and a contestant on the hit television show "Dancing with the Stars." She was the only politician on the Yahoo top 20 list. A recent YouTube clip that featured her being interviewed while, unbeknownst to her, a turkey is slaughtered in the background was the site's most-viewed clip over the last week. Two of the top 10 video moments of 2008, according to Truveo, an online video search engine, also involve Palin — a Saturday Night Live skit that mocks her and the governor’s ill-fated interview with Katie Couric of CBS. Palin's continuous presence in the news has played a role in the unabated levels of search activity. First she was buffeted by anonymous criticism from the McCain camp after the ticket's defeat, then she cut a high profile at the National Governors Association meeting one week later. In between, she sat for an interview with Greta Van Susteren of Fox News and delivered the show's largest audience of the year. According to the Project for Excellence in Journalism, Palin was the second-leading newsmaker for the week of Nov. 10-16, trailing only Obama and ranking ahead of President George W. Bush, Sen. Hillary Clinton and McCain in the number of stories about her. The polarizing role she played in the presidential campaign may also be driving the enduring fascination with all things Palin. David All, a Republican new media consultant, notes that the uninterrupted attention offers Palin an unprecedented political opportunity even if a good portion of the curiosity comes from her detractors.